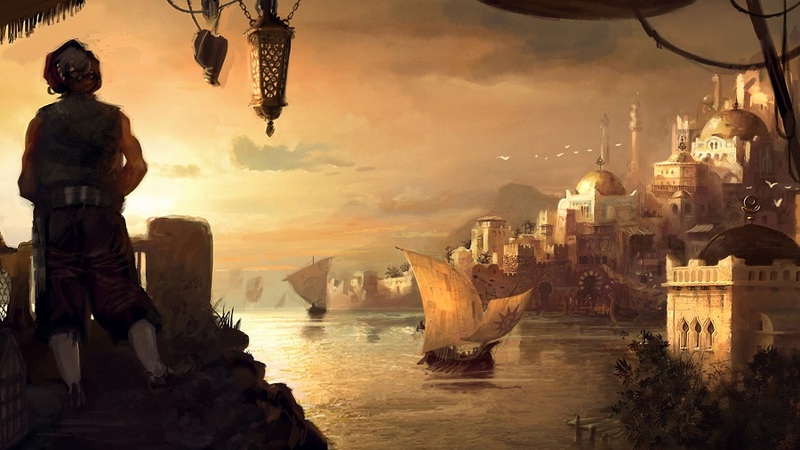 (population: 53,000) Zakresh is a thriving seaport and the capitol of the powerful Hakeen Sultanate of Styr. Zakresh is strategically located about half-way between Avokhar and Za'har, so it receives a steady flow of ships traveling back and forth between the continents. This bustling seaport also sees many ships from the other two islands Sultanates of Rhaygos and Ilsenene. As a result, the city is one of the busiest ports in the known world, and the most well-known on the sea-lanes of the "Sunset Sea." At any time, nearly 500 assorted merchant vessels from Al'Kethai, Ilsenene, Khalifar, Orel, Malvatis, the Seven Cities of Brass, and Yamada can be found in its sprawling Blue Harbor. Zakresh also has a well-deserved reputation for the largest red-light district of any seaport in the Vhan Myr; with well over 100 brothels lining its seedy harbor district.